Brands can leverage DRTV to drive similar retail sales. But I wouldn’t recommend following the Snuggie model. The Snuggie is a kitsch product with a short lifetime as a mass product (although it may live on at low volume like the ChiaPet). The AllStar marketing team has taken steps that would be suicide for a brand. But that’s okay for them. As part of the traditional DRTV business, Allstar will take the money and run – without building a brand. The good news is that brands can leverage DRTV to achieve dramatic sales impact with a different style of campaign. This campaign exerts more control over the advertising content, steps back from the blow-out media spending, and controls other campaign factors so that the campaign and brand have a long life. But take care. Despite the chutzpah in their sales presentations, some of the largest brand DRTV providers don’t know how sell effectively on TV. They make plenty of money creating ads that simply make sure their clients get the reduced direct response media rates. But in that case you’ll reap only a part of DRTV’s value. When you add profit from sales on top of media savings, then the equation gets most interesting. Enough about those stuffy old brands. 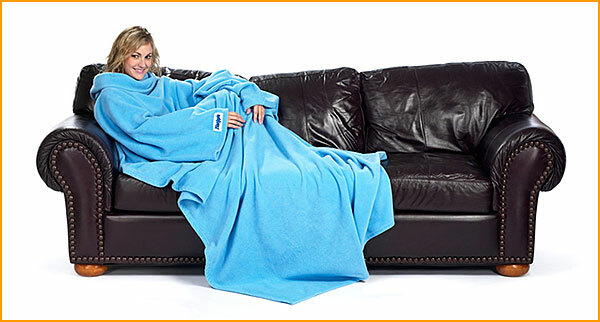 Snuggie’s brand tonality is clearly a TV version of the ads in the back of the National Enquirer. Despite this, as a Shelf Potato enthusiast, it’s great to see yet one more potato get up off the shelf and race out the door – in this case millions of units at a time.